Fabulous shots Dianne - such rich colouring. 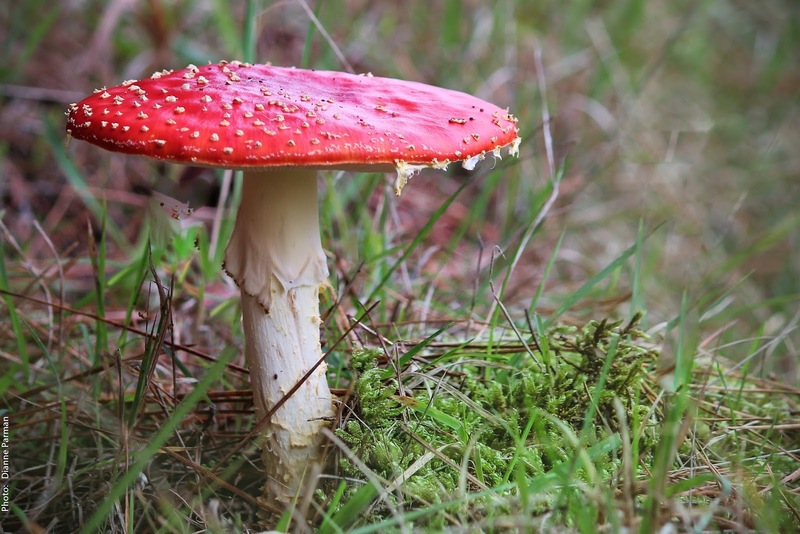 That mushroom looks like an amanita muscaria, a mushroom used in eastern Europe as fly poison. While some contend it has psychoactive properties, it is still highly poisonous never to be eaten. 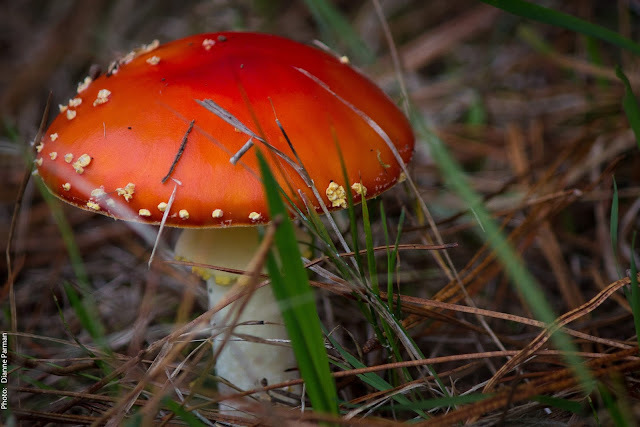 Oddly this mushroom is often pictured in cartoons and drawn in kitchen decor because of its bright red and white color. Its best use is photography. Nicely done. These are lovely photographs and wonderful colours. I have not ever seen a mushroom like that. Lovely color! Hello, I saw you on Carolyn's blog. I've never seen a red mushroom before, only in the shops. I have been browsing through some of your posts, and you take wonderful pictures. Me and my daughters also love Photography. We have a blog too, and we would love it if you could visit us and follow. I would certainly come back and follow you as well. It's nice to meet new friends. I hope to hear from you, and have a sweet day.